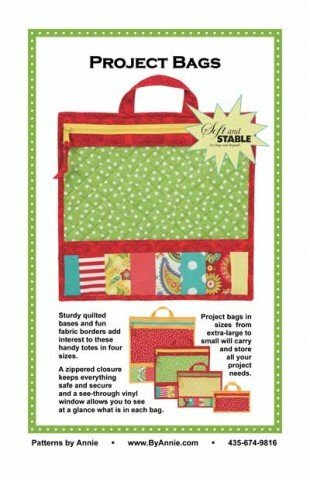 This project bag will keep your quilt blocks flat and ready for show & tell! Bring projects to and from class safely and show off your bag-making skills! You may choose from the the L size (13" sq) or the XL size (16" sq) for this course. Please have all fabrics cut and labeled according to the pattern; a prep video will be emailed to all attendees to help with this step. ByAnnie's Soft + Stable- 18"x58" *this is enough for 4 bags, one of each size! clear vinyl- 10"x54" *this is enough for 4 bags, one of each size! Requirements: Please see supply list. Some cutting and prep work required beforehand.